Your loved one is now your guardian angel. Pay tribute to them with this beautiful memorial pendant. This pendant features sky blue back ground embellished with a white angle wing. 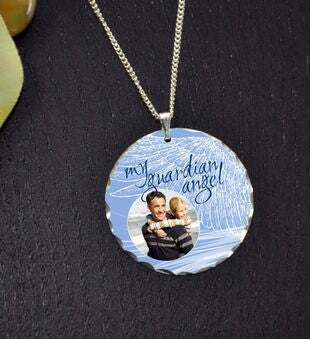 The words "My Guardian Angel" are written above your loved one's picture on this personalized memorial pendant.